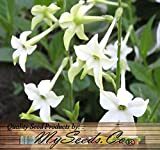 Tobacco plant seeds for sale – Easy plant to grow, grown for the ornamental flowers and for the leaves and also for smoking, planting in spring, better to buy seeds or another option to buy plant. 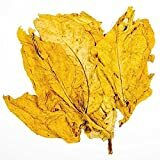 Tobacco plant seeds for sale – When is the best season to buy Tobacco seeds? How to grow Tobacco plant seeds from seeds? Tobacco plant seeds season to buy it’s in middle of the winter to arrive until sowing season in the spring, Tobacco growing from seeds take the seeds and sow them in 0.5-1cm in soil cover but don’t push, the seeds need full sun and well-drained soil, keep the soil moist and average amount of water.